NASCAR announced a radical shakeup to its traditional qualifying format last week, in an effort to inject some much-needed excitement into what had become a snooze-inducing exercise that gave fans no reason to watch – or even care – about the outcome. The sanctioning body’s old reliable (and mind-numbingly dull) single-car time trial format will be replaced by new, Formula One-style “knockout qualifying” sessions in 2014, a format that will place multiple cars on the track at one time and eliminate drivers from pole contention over the course of multiple, timed sessions. The new system offers multiple improvements over what fans have traditionally experienced on Qualifying Day. First, qualifying will now be completed in approximately one hour; far less than the three-hour slumberfests that have traditionally plagued the sport at tracks like Daytona, Talladega and Pocono. In an era of microwave meals and instant gratification, fans are no longer willing to devote three hours of their lives to a single-car parade of solo laps that seldom includes even a smattering of drama, excitement or surprise. They will benefit from an abbreviated, one-hour qualifying window, as will the sport’s television and radio partners. Second is the return of actual strategy to the qualifying format, for the first time in decades. With only one set of tires to work with and chassis adjustments allowed only during a brief, five-minute break between sessions, teams will be forced to adapt to changing track, traffic and car conditions on the fly. Ideally, two fast laps with a fully-taped front grille will be the order of the day. But a track clogged with racers on similar (or completely different) game plans could make those “two quick laps” tough to come by, forcing teams to change plans, alter set-ups and put additional, unwanted laps on their tires. Teams will be allowed to take to the track as many times as they want, any time they want within a particular session. Variations in strategy are almost certain to result. Should I go out early in the round, or wait to see what other drivers do? Should I stand on a mediocre lap time and risk being bumped in the final minute, or go back out in search of a better lap? Those decisions create drama, and the fans are sure to benefit. At tracks where drafting comes into play, teamwork will play an important new role in qualifying. Drivers will attempt to seek-out teammates to draft with, but teammates aren’t easy to find on a crowded racetrack. There’s also nothing stopping an outsider from hitching a ride on your back bumper and messing up your well-crafted plan. And even if you’re able to organize a beneficial draft down the Talladega backstretch, a savvy adversary can toss an ill-timed side draft your way and kill the entire lap in a heartbeat. When’s the last time you saw someone get punched in the mouth during time trials? When’s the last time teams had to roll out the backup car following a multi-car qualifying wreck? Never, that’s when. But this year, it just might happen. "I'm all for anything that makes it fun,” said Clint Bowyer last week. “Not only for the fans, but the drivers and the teams, too. This is really going to shake things up on Fridays." "I think (strategy) is part of the fun of it," said Keith Rodden, Jamie McMurray’s new crew chief at Chip Ganassi Racing. "I can see it changing with each session and each weekend, especially at first." Effective immediately, qualifying on the NASCAR Sprint Cup, Nationwide and Camping World Truck Series’ will include a healthy dose of drama, intrigue, entertainment and excitement. And for the first time in years, fans will have a reason to leave work early and come out to the track. That’s a good thing, no matter how you slice it. Kyle Busch Motorsports has announced that 17-year-old Erik Jones will split driving duties with team owner Kyle Busch for the defending NASCAR Camping World Truck Series Owner’s Champion No. 51 Toyota Tundra team in 2014. Jones’ 12-race schedule will begin March 29 at Martinsville (Va.) Speedway, while Busch will be behind the wheel for 10 races beginning with the season-opening race at Daytona (Fla.) International Speedway Feb. 21. ToyotaCare -- the complimentary maintenance plan provided with the purchase or lease of every new Toyota -- returns as a primary sponsor in 2014 and will adorn the hood of the No. 51 for 14 races, seven with each driver. Jones made history last November at Phoenix (Ariz.) International Raceway when at 17 years, five months and nine days old he led a race-high 84 laps en route to becoming the youngest winner in Truck Series history. The Phoenix win was the culmination of a five-race schedule which saw the talented youngster finish inside the top 10 in each of his outings, including a ninth-place finish in his debut in March at Martinsville when he became the first 16-year-old to start a Truck Series event since Busch in 2001. In addition to his Truck Series schedule, Jones made three starts behind the wheel of KBM’s No. 51 Camry Super Late Model in 2013, winning two of the most prestigious events in the country; the Winchester (Ind.) 400 at Winchester Speedway in October and the Snowball Derby at Five Flags Speedway in Pensacola, Fla. in December. He became the sixth driver to post victories in both events and just the third driver in the 46-year-history of the Snowball Derby to register back-to-back victories. The racing prodigy also earned his first ARCA Racing Series victory in August at Berlin (Mich.) Raceway driving for Venturini Motorsports. Busch added to his already impressive Truck Series resume in 2013, winning five times in 11 starts. Over his career, the Las Vegas native has won 30.4% (35/115) of his races in NASCAR’s third division and has finished first or second in 49.6% (57/115). His career Driver Rating of 119.6 and Average Finish of 7.3 are the best in the history of the Truck Series, and he enters 2014 ranked second in Truck Series wins with 35. Veteran crew chief Eric Phillips will call the shots for the No. 51 Tundra team this season. His 27 career victories ranks second in Truck Series history. The Illinois native has visited Victory Lane with eight different drivers; Clint Bowyer, Kyle Busch, Denny Hamlin, Kasey Kahne, Travis Kvapil, Brian Scott, Dennis Setzer and Mike Skinner. He led KBM to a Truck Series Owner’s Championship and a series-leading eight wins in its inaugural campaign in 2010. Overall in three seasons as a Truck Series crew chief at KBM, he has guided the team to 17 wins with four different drivers. The Motorsports Hall of Fame of America announced today that it will move its operations and collection of historic racing machines and memorabilia from the Detroit area to the ”World Center of Racing,” Daytona International Speedway by January 2016. The move coincides with the scheduled January 2016 completion of DAYTONA Rising, the speedway’s $400 million frontstretch renovation project currently underway. Vehicles and artifacts representative of the diversity of motorized competition celebrated by the Hall of Fame, including Open Wheel, Stock Cars, Motorcycles, Aviation, Drag Racing, Sports Cars and Powerboats, will be exhibited as a regular part of the tours admission at Daytona International Speedway all year long. Daytona International Speedway offers three different types of tours – a 30-minute, 90-minute All-Access and a three-hour VIP tour. More information on the tours can be found at www.daytonainternationalspeedway.com/tours. In addition, the champion Daytona 500 car will continue to be on display at the Daytona International Speedway Ticket and Tours building and be a part of the Speedway tours. DAYTONA Rising, which broke ground last July at Daytona International Speedway, is a $400 million reimagining of an American icon – Daytona International Speedway. Five expanded and redesigned entrances, or “injectors,” will lead fans to a series of escalators and elevators, transporting them to three different concourse levels. Each level features spacious social areas, or “neighborhoods,” along the nearly mile-long frontstretch. At the conclusion of the redevelopment, Daytona International Speedway will have approximately 101,000 permanent, wider and more comfortable seats, twice as many restrooms and three times as many concession stands. In addition, the Speedway will feature over 60 luxury suites with track side views and a completely revamped hospitality experience for corporate guests. DAYTONA Rising is expected to create 6,300 jobs, $300 million in labor income and over $80 million in tax revenue, will be completed in time for the 2016 Rolex 24 At Daytona and DAYTONA 500. Fans can follow the project online by using #DAYTONARising on Twitter or visiting www.daytonarising.com. Tickets for the next Motorsports Hall of Fame of America induction ceremony, August 6, 2014 at the Fillmore Theater in Detroit, can be purchased by calling 248-349-7223 or through the Hall of Fame's website www.mshf.com. 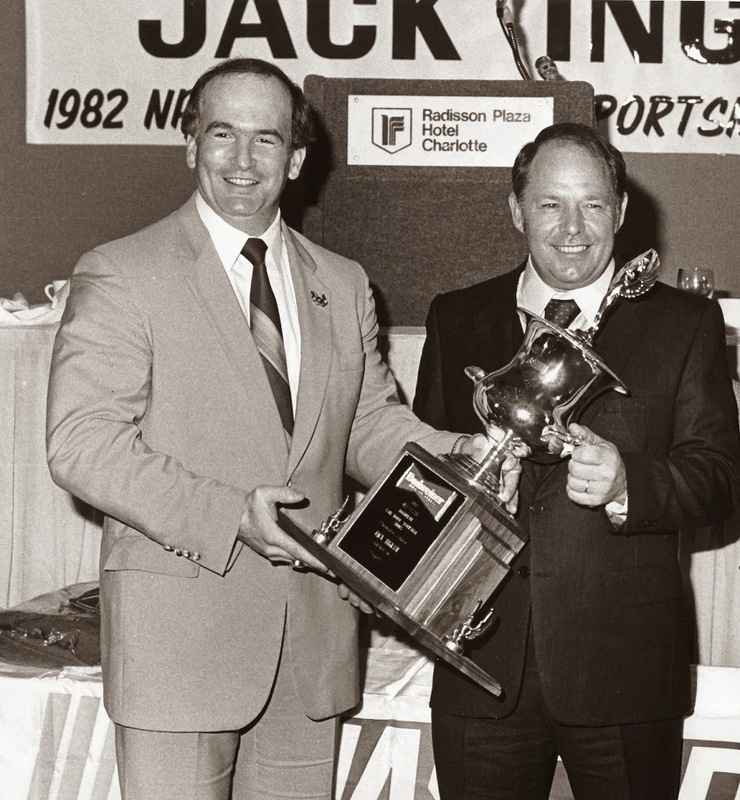 When three-time NASCAR Late Model Sportsman national champion Jack Ingram was told the here, there and everywhere competition would transition into a more compact tour of 29 races in 1982, the Asheville, N.C., driver figuratively licked his chops in anticipation. Later nicknamed “The Iron Man,” Ingram had run 86 races throughout the southeast – sometimes three and four times a week in as many different states – when he won the 1972 NASCAR Late Model Sportsman national title. Ingram captured the inaugural 1982 championship over cross-town rival Sam Ard with seven victories and 23 top-five and 24 top-10 finishes. He finished second to Ard in 1983-84 and fashioned a second title in 1985 with five wins. A two-race suspension kept Ingram from collecting a third championship the following season in which he finished third. Over nine seasons as a full-time competitor, Ingram finished outside the top five in points just twice. He ultimately competed in 275 races winning 31, the latter figure a record until broken by Mark Martin in 1997. Ingram remains fifth in all-time NASCAR Nationwide Series victories. Ironically, Ingram’s best racing memory was his victory in the 1975 Daytona Permatex 300, a race broadcast by ABC’s “Wide World of Sports.” Because the event was televised – a rarity in those years, especially for a late model sportsman event – Ingram received congratulatory letters from throughout the U.S. and even from fans in foreign countries. That NASCAR Nationwide Series total doesn’t include the dozens of NASCAR points-paying late model sportsman features Ingram won during the 1960s and 1970s driving his No. 11 J.W. Hunt-sponsored Chevrolets on weekly tracks – many of them long-shuttered. It was not uncommon for a driver and a single crew chief / mechanic to race in Virginia on a Friday night, tow to Tennessee for a Saturday show and finish the weekend in North Carolina. Ingram won 15 races and finished among the top five in 67 starts during his 1972 championship season. A year later, he won a second title by concentrating on national championship-designated events, winning 11 of 18 starts. His third crown was a runaway as Ingram held a 2,000-point edge over the late Butch Lindley at season’s end. “One weekend, we ran Langley, Richmond, Manassas (Va.) and Kingsport (Tenn.) in the same car; maybe on the same set of tires,” said fellow competitor Jimmy Hensley of a typical weekend in NASCAR’s late model sportsman years. “Jack raced for a living. I’d work all day and race all night. Ingram also competed in 19 NASCAR Sprint Cup Series events between 1965 and 1981 with a best finish of second to Richard Petty on Sept. 8, 1967, at Hickory (N.C.) Motor Speedway. “Jack’s record was phenomenal because he was the driver, crew chief, car owner and chief bottle washer on his team for most of his career,” said Jim Hunter, NASCAR’s late vice president of communications on Ingram’s 2007 induction into the International Motorsports Hall of Fame. “He was a no-nonsense, get-in-your-face, hard-nosed, fender-scraping racer who took no prisoners on the track. “He was very dedicated to the sport … dedicated his life to it and even after he quit driving he continued to help others along the way,” said NASCAR Hall of Famer Ned Jarrett in a 2013 interview with NASCAR.com’s Kenny Bruce. Ingram was named one of NASCAR’s 50 Greatest Drivers in 1998. This year’s NASCAR Hall of Fame Induction ceremonies will take place at 7 p.m. ET Wednesday, Jan. 29 in the Crown Ball Room at the Charlotte Convention Center, which is directly connected to the NASCAR Hall of Fame. Tickets for the ceremonies start at $45 (available at www.nascarhall.com/inductees/induction-ceremony) and the NASCAR Hall of Fame box office. A brother, a contemporary, a rival, a colleague and a friend will all take the stage to induct this year’s Class of 2014 into the NASCAR Hall of Fame. Richard Petty, Waddell Wilson, Harry Gant, Humpy Wheeler and Blake Shelton will induct the fifth class – Maurice Petty, Fireball Roberts, Jack Ingram, Tim Flock and Dale Jarrett – on Wednesday, Jan. 29 at the NASCAR Hall of Fame in Charlotte, N.C. The five legends, who account for 15 NASCAR championships, will also be joined on stage by five current stars, combining for 15 national series championships of their own. Aric Almirola, Jeff Gordon, Kevin Harvick, Jimmie Johnson and Tony Stewart will all take part in the evening’s festivities. The Induction Ceremony begins at 7 p.m. ET and will air live on FOX Sports 1, Motor Racing Network and SiriusXM NASCAR Radio. Tickets start at $45 and are available at the NASCAR Hall of Fame box office, as well www.nascarhall.com/inductees/induction-ceremony. Jarrett has experience as an inductor, joining his brother Glenn and sister Patti Makar to induct father Ned into the NASCAR Hall of Fame’s second class. 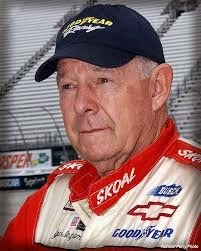 Maurice Petty built the engines that propelled his brother Richard to seven NASCAR championships and most of his 200 wins. Fireball Roberts won the 1963 Southern 500 with an engine built by Waddell Wilson. Jack Ingram and Harry Gant had a fierce rivalry that helped build the popularity of what is now the NASCAR Nationwide Series. Tim Flock worked with Humpy Wheeler at Charlotte Motor Speedway for more than 30 years. After an introduction by former teammate Elliott Sadler nearly a decade ago, Dale Jarrett and country music star Blake Shelton have become close friends. “I couldn’t have all four of my kids as inductors, and I couldn’t just ask one. I wanted my dad to be able to enjoy the moment with my mom and the rest of my family. So it just kind of opened up the opportunity,” said Jarrett. The NASCAR Hall of Fame Induction Ceremony will kick off with a media red carpet entrance in the Great Hall at the NASCAR Hall of Fame at 4:15 p.m. ET. The formal presentations begin during the Induction Dinner, where the inductees will receive their NASCAR Hall of Fame jackets. Chris Economaki will also be honored as the third recipient of the Squier-Hall Award for NASCAR Media Excellence. 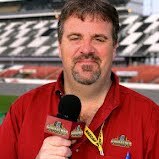 NASCAR announced Thursday that it has reinstated Ty Norris, an executive with Michael Waltrip Racing. Norris had been indefinitely suspended from NASCAR last Sept. 9 as part of the penalties assessed to MWR following the sanctioning body’s review of the NASCAR Sprint Cup Series race Sept. 7 at Richmond International Raceway. Norris remains on indefinite NASCAR probation. 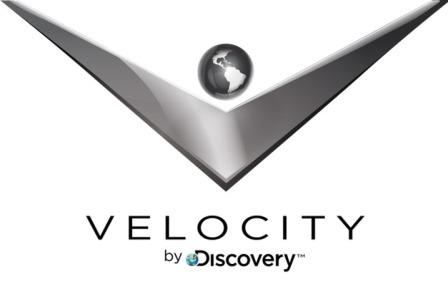 This month, Velocity takes viewers on a tour through American culture through the lens of one its greatest inventions: the automobile. Three-time NASCAR champion Ray Evernham hosts a cross-country trek, chasing down the cars that had a profound impact on shaping our national identity. From the inception of American racing at the turn of 20th century, to the Woody Wagons that defined California culture in the 50’s and 60’s, to the infamous drag strips of the 70’s, automotive history has left an indelible imprint on the American experience. AMERICARNA lifts the hood on legendary four-wheeled treasures that continue to have a profound influence on our cultural DNA. 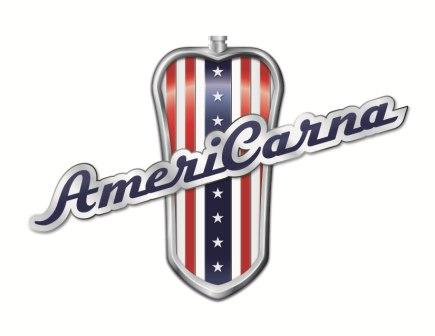 AMERICARNA debuts Tuesday, January 28 with a special double episode premiere at 8:00 and 8:30 p.m. The premiere episode brings Ray together with a surfing legend and revolutionary waterman, Laird Hamilton. The focus of the episode is the iconic Woody Wagon – a staple in the beach community - popularized by in the 50’s and adopted by surfers nationwide as a fitting chariot to transport their gear. Additional episodes feature historical automotive insight from famed director Ron Howard (Arrested Development, The DaVinci Code, Apollo 13), music legend Mike Love (The Beach Boys), Country superstar Brad Paisley, And Hot Rod racing guru Don Prudhomme. The premiere episode features a dive into the influence cars had on culture of California. From road racing in the 1940’s to the inception of the iconic Woody wagon on the California beach scene, automobiles undoubtedly shaped the West Coast attitude. Ray talks to Beach Boys front man Mike Love and surfing icon Laird Hamilton for a glimpse into the cars that the life of the surf culture. Ray uncovers secrets of America’s greatest racing sport in the foothill of North Carolina. When moonshiners were looking to outrun police officers, they would custom fit engines to race the back woods tracks. That sport eventually evolved into NASCAR and Ray talks to the early adopters of this national pastime. Grammy-winning musician Marty Robbins lived a double life, flawlessly crossing between the glitz of the Grand Ole Opry and track at Talladega. One of few musicians to ever achieve success in both genres, Ray is determined to return Marty’s iconic 777 car to the race track travel back to the 60’s and 70’s. Legendary drag racer Don “The Snake” Prudhomme proves he is no stranger to the thrill of racing rivalry. Prudholme’s career - and subsequent competition with driver Tom “The Mongoose” McEwan – earned the pair an unforgettable imprint on American pop culture. Legions of kids in the 60’s and 70’s flocked to the shelves for Snake and Mongoose Matchbox cars which helped make drag racing a undisputable American pastime. Famed director Ron Howard makes an appearance to discuss the incredible stories hidden within the word of Formula 1 Racing, the topic of his latest. epic feature ‘Rush”. Buried treasures are unearthed when Ray helps uncover winning Daytona racecars trapped in an old car hauler. A journey to Indianapolis unveils the winning car of the 1955 Indy 500 sits on the roof of auto mechanic shop. More than 50 years after it’s magic at the track, prominent Indy mechanic/owner Chris Paulsen begins to restore the car and Ray talks about the evolution of America’s illustrious Indy 500. In the 1960s, Smokey Yunick, the most innovative mechanic in NASCAR history, sold his famous truck that hauled equipment & cars across the country. Ray is on a mission to uncover this storied truck that helped launch the beginning of NASCAR’s cross-country popularity. Ray travels to Long Island New York with the hopes of learning more about America’s first major auto racing competition. The race began at the turn of the 20th century and helped develop the first major American racing stars and drove American manufacturing to competitive standard with the highly progressive Europeans. Fred Dmuchowski is a New Jersey racing icon. He was a regular workingman who drove on weekends for fun and became a legend in his iconic 303 racer. Ray works to rebuild the 303 in homage to Fred who inspired him to pursue his career in motorsports. For NASCAR businessman Rick Hendrick, the Corvette inspired his first car purchase and the start of his incredible car empire of dealerships and motorsports teams. County superstar Brad Paisley makes a cameo appearance to talk about his prized ‘Vette the automotive influence on his music.